We are pleased to announce that on the 29.10.2018 we successfully completed the recertification audit by the European Quality Management Zert GmbH. We are now certified until 28.10.2021 according to DIN EN ISO 9001: 2015. The certification according to DIN EN ISO 9001 is a globally recognized proof of an effective quality management system in a company. The core processes as well as the management and support processes of the company are defined, implemented and continuously monitored according to the latest quality management standards and guidelines. 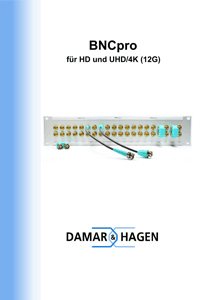 High product quality is an integral part of the corporate philosophy of Damar & Hagen. It is our responsibility to provide our customers with products and services of high quality, safety and environmental standards. The scope of the certificate covers the development, production and distribution of plug connectors.